I had to really think about WHY you’d smoke an egg. I mean you can just as easily boil an egg right? And what’s wrong with that? Well…. it’s boring – we all know what a boiled egg tastes like! Time to up your game and bring the flavor! This recipe is easy and gives you a whole new way to enjoy a simple egg! Not to mention it’s even more delicious for deviled eggs. I’m telling you this is totally the BEST way to enjoy an egg! When Jason told me he was going to smoke eggs I raised my eyebrows a little bit. He assured me they would be delicious and he was planning on making them into Smoked Deviled Eggs. He LOVES Deviled Eggs, but so do I was so I was on board with this. Honestly, making smoked eggs is super easy and totally worth it. I may or may not have stole one before he made them into Deviled Eggs and they were amazing. 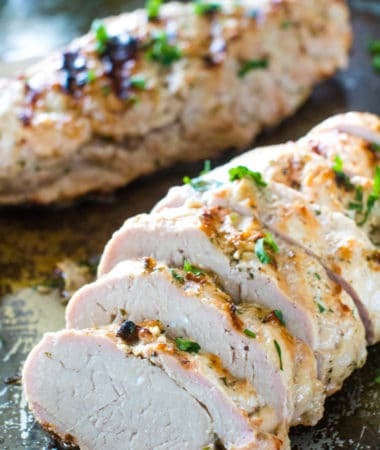 Plus, the flavor gets better after sitting in the fridge! I love things that get better with age. Just like me! Yup! That’s it, just eggs! You’re going to love how easy this is! It’s all about the flavor. The longer you cook the eggs, the more smoke flavor is imparted into the eggs. 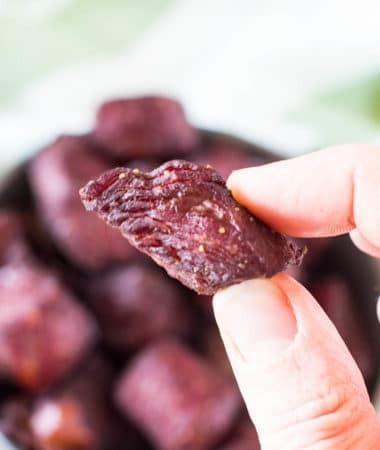 They taste delicious and it’s definitely a new recipe you have to try! Smoked eggs are perfect for Easter! I love the new flavor this gives an egg and I think you will too! Why do you place the eggs directly in an ice bath? 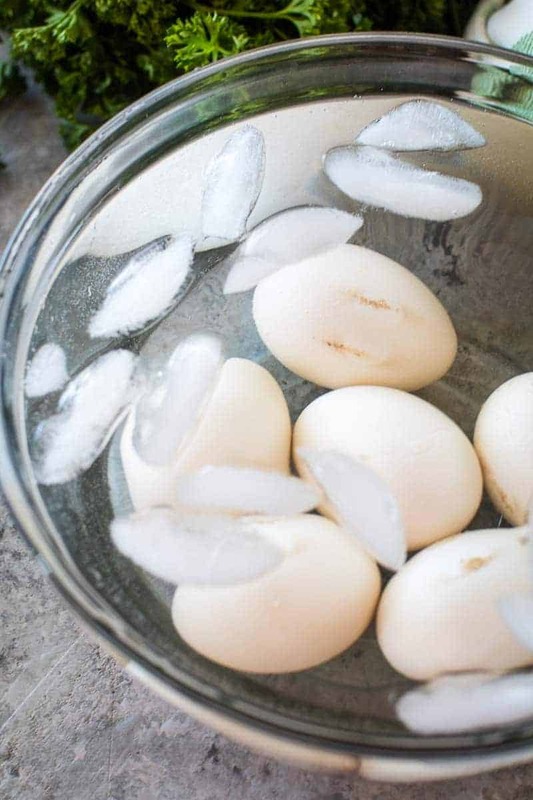 Placing the eggs in the ice bath will make them easier to peel. 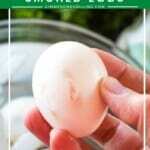 One of the biggest complaints about smoked eggs is they are difficult to peel. This little trick will make it easier! 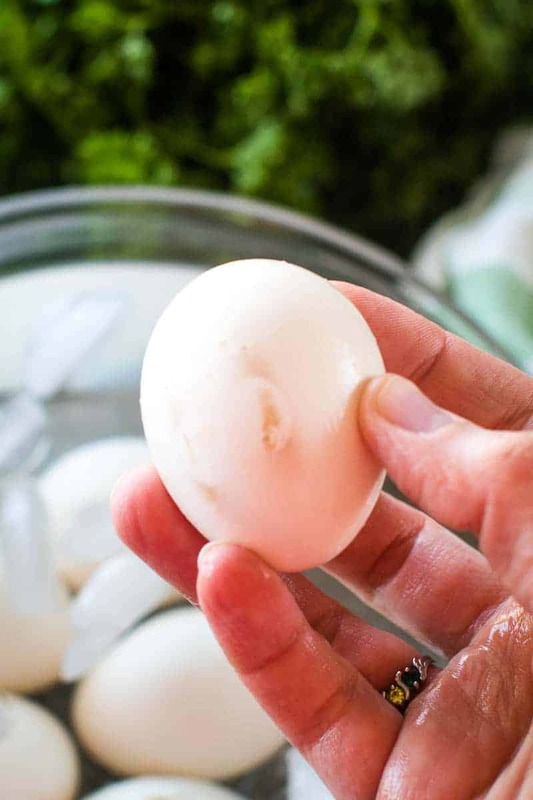 Something else to keep in mind is that extremely fresh hard-boiled eggs are difficult to peel. 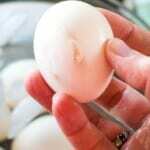 The shell doesn’t cleanly and picking off part of the shell leaving gouges on the surface of the egg. But as eggs grow older, their shells peel more easily. Not only did we enjoy them but the kids did too. I thought there were going to be tears when our oldest grabbed the last one and her sister wanted another one. Good thing they are easy to make! Preheat the smoker to 325. 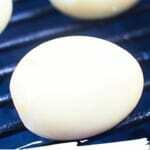 Place the eggs directly on the grates of your smoker. Close the lid and smoke for 30 minutes. 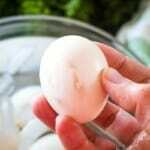 Remove the cooked eggs from the smoker and place into an ice bath immediately. Chill completely. Reduce heat on your smoker to 180 degrees. Peel the eggs and return them to the grill. Smoke for another 30-45 minutes depending on the amount of smoke flavor you want in your eggs. 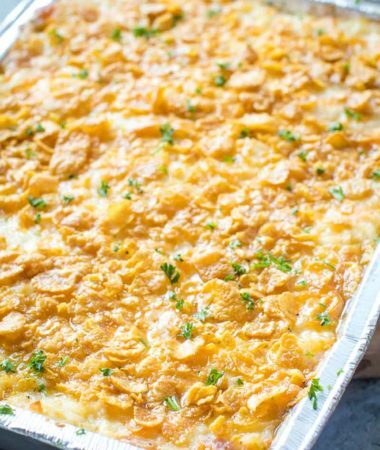 If you’re putting together your menu for Easter, here are a few more of my favorite holiday recipes! Twice Smoked Spiral Ham with Honey Glaze – SO juicy and delicious! Bacon Wrapped Asparagus – tender spring asparagus is perfect with salty ham – yum!! Dinner Rolls on Smoker – can’t have this big beautiful meal without some rolls, right? And for something sweet to end the meal why not make Smoked Strawberry Crisp it’s really one of my favorite desserts! Are you ready to try smoked eggs? I hope so and when you do be sure to tag me on Instagram @gimmesomegrilling or hashtag #gimmesomegrilling! I really want to hear from you, so if you love these eggs, please comment and leave a five-star rating below! 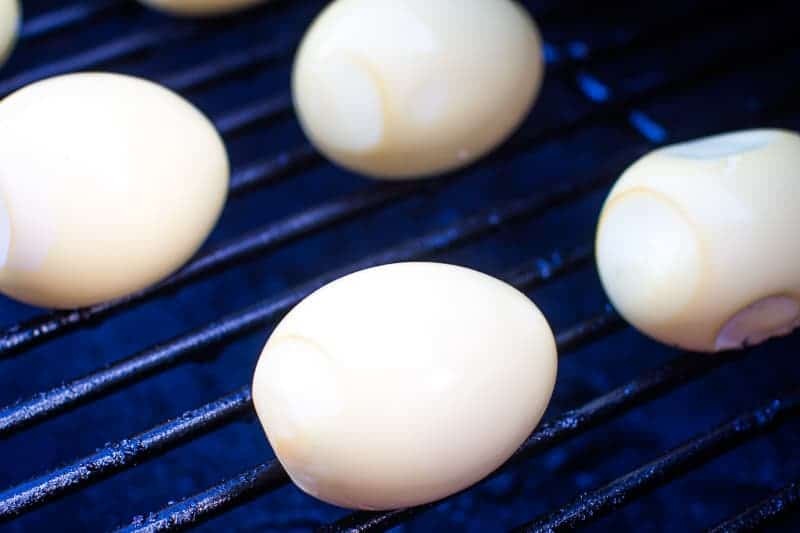 Smoked Eggs are delicious on your Traeger Pellet Grill! Learn exactly how to make them! 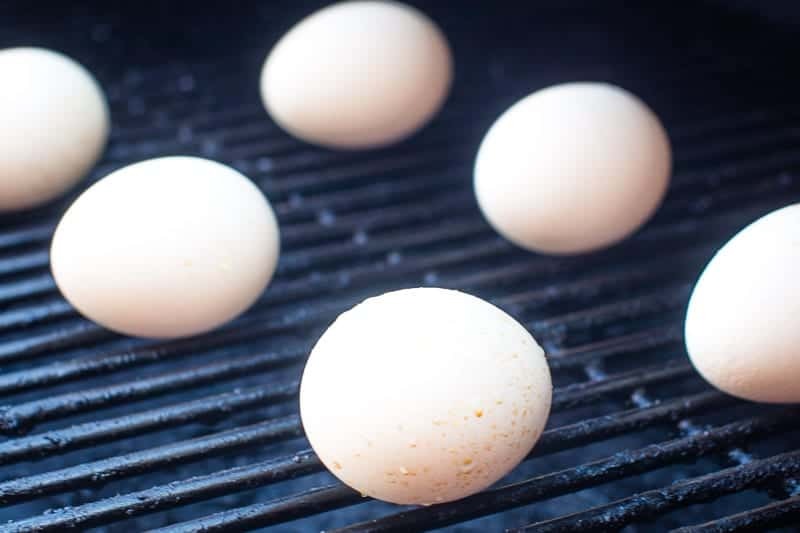 Place the eggs directly on the grates of your smoker. Close the lid of your smoker and smoke for 30 minutes at 325 degrees F.
Reduce heat on your smoker to 180 degrees F.
Peel the eggs and return them to the grill. 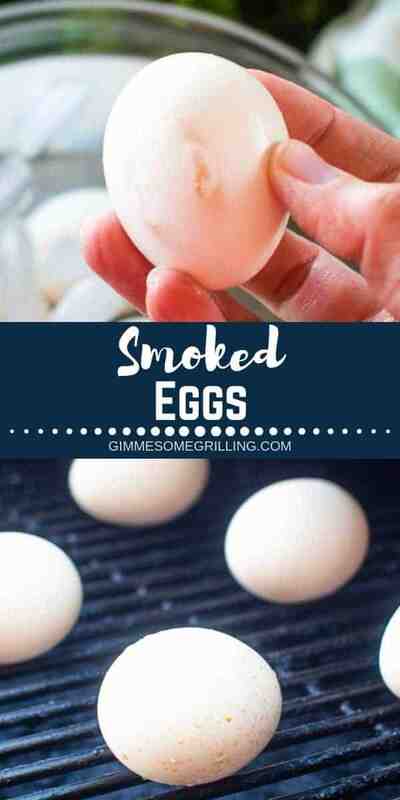 Smoke for 30-45 minutes depending on the amount of smoke flavor you want in your eggs. I didn’t see this anywhere in the script. Are the eggs raw when first put in the smoker? Thanks for any help and advise. They are raw when you first put them on the smoker! Deviled eggs are delicious, so I can only imagine how yummy these are! What flavor smoke goes with eggs? We use a competition blend! Smoking eggs is genius! I love the idea of making them into smoked deviled eggs, can’t wait to give this a try! Totally a fun and delicious twist for deviled eggs! I’ll never eat a hard boiled egg another way! 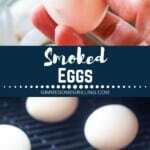 Have you tried smoking quail eggs? Or duck eggs? Any advice on smoking times for those? I literally want to try this on every egg possible, it sounds so awesome!!! Hey Liz! So sorry I have not! This sounds AMAZING!! I’ve never thought of smoking eggs!!! These will be the best deviled eggs ever!! They make the best Deviled Eggs ever you are right! What the what? Now I’ve seen everything! I swear, you are the queen of the smoker! You should write a smoker cookbook!